We believe in supporting the little village we live in, many of whom helped build this lovely project. 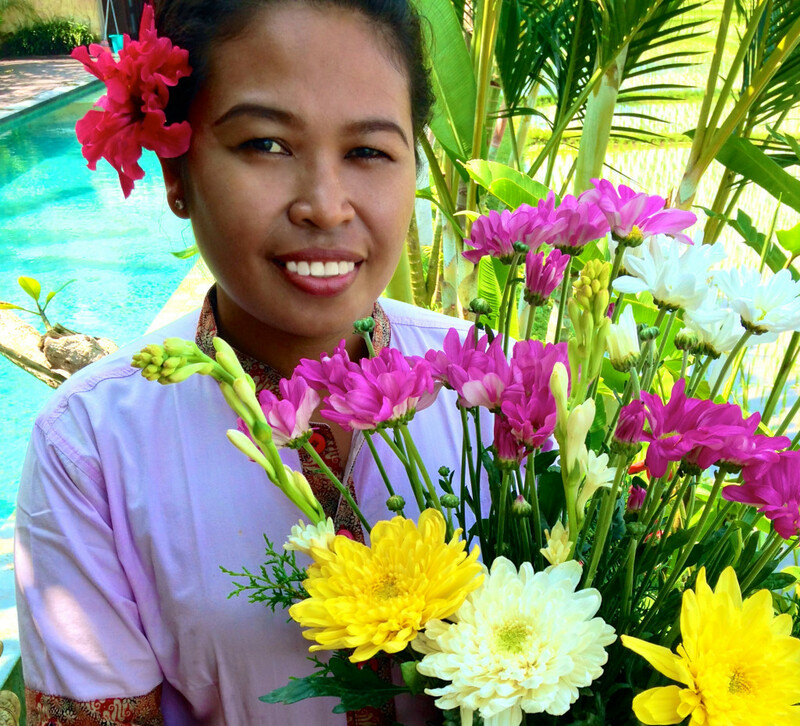 Our staff of locals is headed by Ibu Wayan who will welcome you to Harmony. Our staff will also help you with all your needs from the wonderful daily cooked breakfasts, personal laundry, household needs, arranging tours and sight seeing itineraries, to car or scooter rental as well as giving you tips for the best shopping and massage in Ubud. It’s quite informal but our on-site staff are available to assist at any time. During your stay you can contact any of the staff for any questions you might have regarding the villa, the staff and the surroundings. Our staff are available from 8am – 7pm daily and nighttime security available from 7pm. For any guests with late arrival times, our nighttime security team will be able to check you in to your villa and also be able to order any food delivery requests from the local restaurants and assist with ordering taxis.